WEDNESDAY, Nov. 21, 2018 (HealthDay News) — Women aged 75 years and older can still benefit from routine mammography, with a cancer detection rate of 8.4 per 1,000 exams, according to a study scheduled to be presented at the annual meeting of the Radiological Society of North America, held from Nov. 25 to 30 in Chicago. 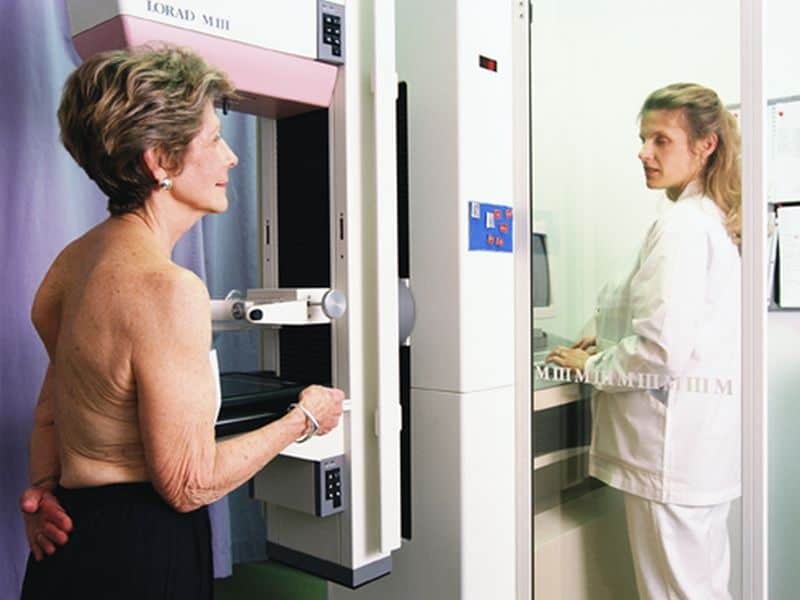 Stamatia V. Destounis, M.D., from Elizabeth Wende Breast Care in Rochester, New York, and colleagues reviewed outcomes of screening mammography performed in women aged 75 years and older to determine the rate of cancers diagnosed. Data were analyzed from 763,256 screening mammography exams conducted between 2007 and 2017; 10 percent of screenings were performed in women aged 75 years and older (76,885 patients; average age, 80.4 years). The researchers found that 645 malignancies were diagnosed in 616 patients (cancer detection rate, 8.4/1,000 exams). Most (82 percent) malignancies diagnosed were invasive; 63 percent were grade 2 or 3. In 7 percent of patients, positive lymph nodes were reported at surgical excision. Most cancers were surgically excised (98 percent); because of advanced patient age or overall degraded patient health, 17 tumors were not treated surgically. “Our findings provide important data demonstrating that there is value in screening women over 75 because there is a considerable incidence of breast cancer,” Destounis said in a statement.